The US dollar has caught another bid. It's beating up on the commodity currencies and now it's making headway against the euro and pound. 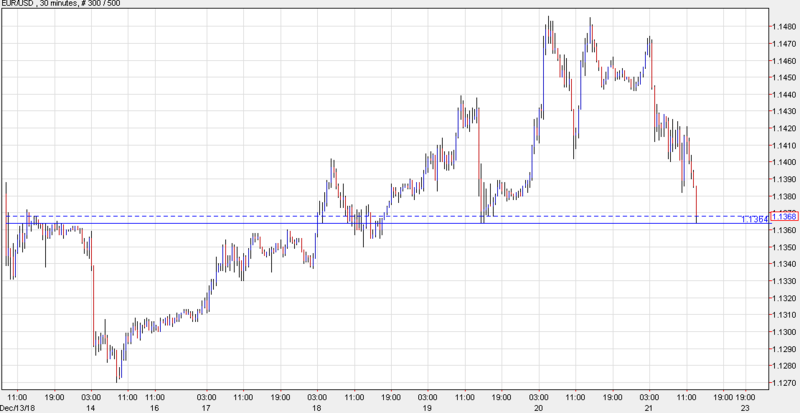 EUR/USD is now down 80 pips on the day to 1.1367 while cable is at a session low and down 33 pips to 1.2625. EUR/USD is threatening Wednesday's low.